Come February 24,2013 and we will again witness one of the prestigious events in movie-making, the 85th Academy Awards, which will be held at the Dolby Theatre in the Hollywood district of Los Angeles, California. Honoring year 2012's movie achievements, the event will be hosted by Seth MacFarlane for the first time and is said to pay tribute to the 50th anniversary of the James Bond film series. How timely it is, of course, since Skyfall, the song performed by Adele, is nominated in the Original Song category, the first Bond theme song to be nominated after over three decades, the last of which was in 1981 with For Your Eyes Only performed by Sheena Easton and featured in the Bond movie of the same title, starring Roger Moore as "Bond, James Bond." "We are delighted to confirm that Adele will perform her Oscar-nominated song Skyfall at the 85th Academy Awards in Los Angeles on 24 February. 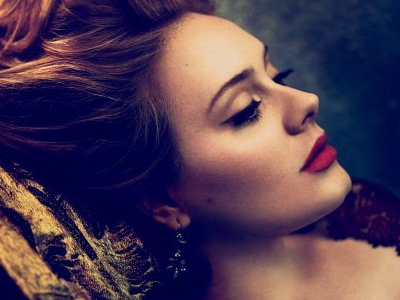 "Adele will perform Skyfall live for the first time anywhere during her exclusive Oscar show performance. It will also be Adele’s first public performance since the Grammys last year." Skyfall had also been nominated and won the Best Original Song at the 70th Annual Golden Globes Awards. It was also nominated for Best British Single at the 2013 Brit Awards to be held on February 20, 2013. This will probably one of Adele's biggest appearance after she gave birth of her first child on October 19, 2012!